Solution: Close all doors and panels on the printer. Solution: Clear the paper jam. Solution: Remove and reinstall the cartridge. Be sure it locks securely into place. Solution: Change the expired cartridge. Solution: Add more memory if possible or reduce the amount of data sent by splitting into multiple print jobs. Solution: Reduce the amount of data or split the task into multiple print jobs. Solution: Reset the machine or replace the networking card in the slot giving the error message. Solution: Reset printer and check all cables. This could be a startup error or rotation error. If the problem persists, contact Technical Support. 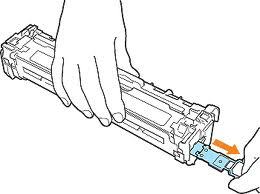 Carefully remove the seal from the cartridge by pulling it out from the side. Solution: Turn off the machine and take out the memory card. Reseat or insert it into a different slot, if possible. The issue may be a faulty or incompatible memory card. Solution: Take the new ink or toner cartridge out of the printer and remove the shipping seals. Solution: Likely an internal component issue (i.e. formatter, engine controller board), contact Technical Support. Solution: This could be the printer fan or duplexer fan. Contact Technical Support. Solution: Restart the printer (to clear internal memory), or replace the media card. For more assistance, contact Technical Support. Solution: Restart the printer. If the error still appears, contact Technical Support. This list of codes should be helpful at home or at the office. While certain error codes may vary with each model, these are some of the most common problems you will encounter. Use the troubleshooting tips, but be careful not to damage the machine any further by attempting advanced repairs.